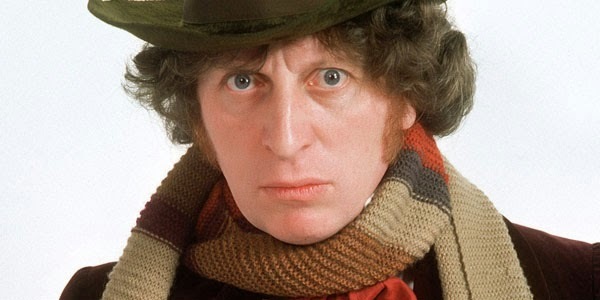 DOCTOR WHO - Which are the best TOM BAKER stories? | Warped Factor - Words in the Key of Geek. DOCTOR WHO - Which are the best TOM BAKER stories? Continuing our look back at the best stories from each Doctor's era. This time it's the turn of the Fourth Doctor, as Tom Pheby counts down five of the best from Tom Baker's time in the TARDIS. Imagine someone gives you the opportunity to write about one of your favourite television programmes of all time. That you can choose your favourite actor in that role and put together your top five episodes. Yeah, I know, it's too good to be true isn't it? Then you suffer the realisation that it's not going to be as easy as you first thought and that you are going to have to choose between 'the much loved 'and the curiously liked ones. It's like asking a Mother to say which of her children she loves most! My approach was to put together five stories that would highlight everything that was good about 'The Baker Era', and this is hopefully reflected by those choices. 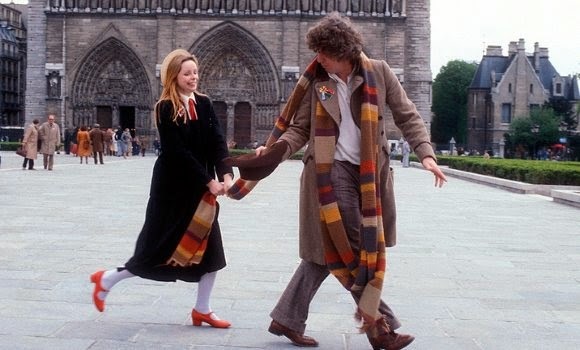 Stories that came close but did not make the top five were The Brain of Morbius, The Keeper of the Traken, The Ark in Space, Pyramids of Mars and Terror of the Zygons (effects taken into account) - any of those five could interchange with choices 2 - 4 on any other day. This Douglas Adams penned outing features an alien that resembles a one eyed fruit pastille (Scaroth) who seems intent on stealing the Mona Lisa to finance the development of a time machine. As you'll discover it's a total contrast to my other choices but I love it simply for its energy, entertainment and epic comedy value. It's a complete mishmash of fantasy and educated farce, all set against the amazing Paris backdrop. Another Robert Holmes story, The Talons of Weng-Chiang recreates the atmosphere of Victorian London and introduces a sinister Oriental menace. It's deliciously dark and humorous with obvious nods to Sherlock Holmes and Fu Manchu. 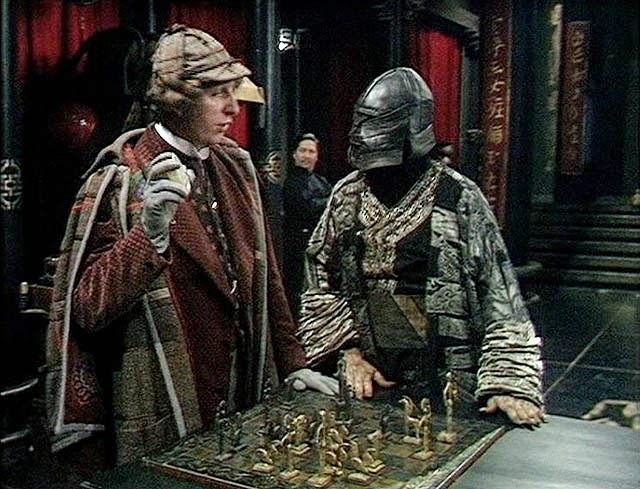 Baker even gets to wear a deerstalker (wizard wheeze). A futuristic 'who'dunit' - which may given Ridley Scott some inspiration for Alien. A mining vessel featuring a group of placid, subservient, emotionless 'Jeeves's', is suddenly the centre of a series of unexplained murders. Bodies begin to mount up as the Doctor tries to discover the identity of the killer. There's a great cast and the robots really give you the creeps in this warning about developing technology. Without question the finest Who story to star Tom Baker. The Time Lords send the Doctor back to Skaro to sabotage the Daleks at the point of their creation, or learn of any weakness that could be exploited in the future. Beautifully filmed and performed on a bleak and divided planet (Betchworth Quarry- Surrey), the Doctor struggles to deal with the reality of his mission. Is it really the best of the Baker era? Without doubt. 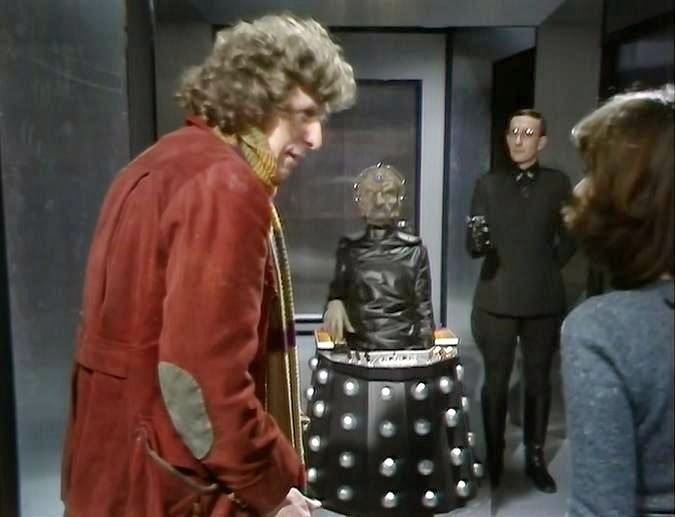 Many Stories that followed would be close to that standard but you have to recognise the performances of Baker and the superb Michael Wisher as Davros. Some will argue the script has asteroid sized holes in it and is inconsistent in places, but even if this is the case it was ahead of its time as a piece of drama. Genesis was exciting, tense and absorbing. Creating a moral dilemma, asking questions of the Doctors conscience - "Do i have the right?" - and for me it's the ultimate story of Baker's reign, and arguably the best Doctor Who has ever seen. 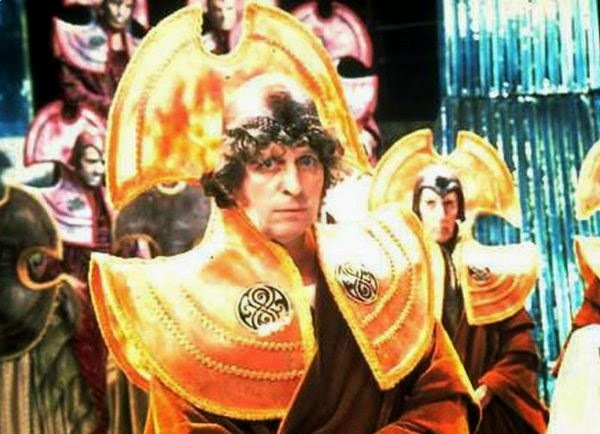 So which do you think are the best Tom Baker Doctor Who stories? Do you agree with Tom's choices, or do you have a different top 5? Next time it's the turn of the Third Doctor, Jon Pertwee.